In the summer of 1858, in a garden behind Christ Church in Oxford, Charles Dodgson-better known by his pseudonym Lewis Carroll-dressed the six-year-old Alice Liddell in ragamuffin's clothes, draped the folds of cloth low enough to expose her bare chest, asked her to look deep into his eyes-and then snapped the camera's shutter. 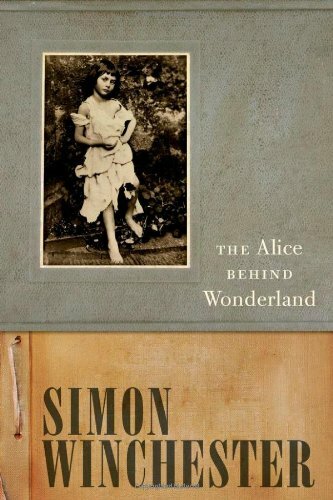 In The Alice Behind Wonderland , Simon Winchester uses the famous photograph of Alice-notorious for the child's alluring pose-as the launching pad for an energetic and penetrating look at the inspiration behind, and the making of, one of the greatest classics of children's literature: Alice's Adventures in Wonderland. Indeed, Winchester shows that it was Dodgson's photographic love affair with Alice that transformed this shy and half-deaf mathematician into one of the world's best-loved writers. Equally important, this photograph offers a window into Dodgson's troubled Victorian's mind and soul; it is a picture imbued with more meaning than its appearance would suggest. Much like the fictional Alice's world, as the photograph is subject to closer examination, it becomes nothing short of curiouser and curiouser. Alice Liddell as The Beggar Maid was, in short, the muse that would inspire the creation of Alice in Wonderland. Deftly engaging with Dogson's published writings, private diaries, and photography, Winchester weaves together the poignant, turbulent, and entirely fascinating story behind Lewis Carroll and the making of his Alice.